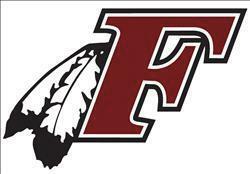 Menomonee Falls senior Tommy Howard has been selected as the PlayInTheDells.com Athlete of the Week for the week of June 18 through 24 after a vote on WSN. There were 1,176 votes this week; Howard received 746 votes, and Kyle Abatto of Kettle Moraine finished second with 180 votes. Howard helped the Indians to a 5-0 record last week. They posted wins over West Allis Central, Oak Creek, Franklin, and West Allis Hale (twice). He went 2-for-4 with a grand slam and 2 runs scored in their win over Franklin, 6-2. In Menomonee Falls' 9-1 win over Oak Creek, Howard went 1-for-3 with 2 RBI and a run scored. The Indians are 17-5 overall and tied for first in the Greater Metro with an 12-5 record. The Athlete of the Week is sponsored by PlayInTheDells.com. It highlights the players that have "made a splash" in the world of high school sports each week. If you have a nominee for Athlete of the Week please send it to Norbert Durst. Holding your tournament in Wisconsin Dells gives every team more playing time, including their families. Not only do we offer the indoor/outdoor sporting venues you need, we have the activities, amenities and accommodations families want. So everyone goes home happy. You may even be eligible for up to a $2500 grant to help get your event started. Contact their team for assistance or event planning.